UniFi Network is an app used for configuring and managing your UniFi Network controllers and devices. The app is perfect for when you need to access your controller remotely. Most features that the web controller provides are present in the app. You can view the dashboard, devices, clients, statistics, insights, alerts, events and more; view detailed information about devices and clients. You can also configure or upgrade your devices, block clients etc. from almost anywhere in the world. Please make sure your controller is on version 5. It is possible to connect with the app to controllers with older versions, but some features may not work properly. 1. Make sure your Cloud Key is on and in factory default state (solid white LED). 3. Make sure your Cloud Key supports Bluetooth. If not, your iOS device and the Cloud Key must be on the same L2 network. If this is a problem (e.g. if you don't have a Wi-Fi network yet), and have a UAP, you can access the Cloud Key by scanning the UAP's QR code. Tap on the "Connect to AP" button in "Devices", then follow the on-screen instructions in the wizard. 4. Tap on the "Add Controller" button. The Cloud Key should automatically be discovered. 5. Follow the on-screen instructions in the wizard. 1. Make sure your device has access to the Internet. 2. Go to "Account" and tap on "Log in". 3. Enter your credentials and tap on "Log in". 5. Your cloud controllers should be automatically displayed in the list. This is an alternative method for configuring UniFi APs. The app is designed for anyone who wants to control their UAPs right away without configuring a controller. - APs need to be physically connected to a network that provides DHCP. 1. Make sure the UAP is on and in factory default state (solid white LED). 2. Make sure your iOS device and the UAP are on the same L2 network. If this is a problem (e.g. if you don't have a Wi-Fi network yet), you can access the UAP by scanning its QR code. Tap on the "Connect to AP" button and follow the on-screen instructions in the wizard. 3. The UAP should automatically show up in the "Devices" list. 4. Tap on your device in the list, then on "Configure" in the top right, and configure your device. If you encounter any problems, please check out our knowledge base at help.ubnt.com, or contact support at support@ubnt.com or from the in-app chat. Thanks to Icons8 (www.icons8.com) for providing some of the icons in the app. • Minor fixes and stability improvements. In this version: new settings, UniFi Dream Machine support, Wired Experience. • Settings have undergone a major overhaul. We understand this may be confusing initially, as it is a big change and some settings are in a different location, but ultimately they should be more intuitive, so please bear with us. More improvements to settings will come in the next version, so stay tuned! • Added support for UniFi Dream Machine. • Added list of WLANs to AP device detail. • Added several missing forms and features to new settings (auto backup, scheduled upgrades, VPN forms, SNMP, UPnP, mDNS, auto-optimize network). • Added support for Wired Experience in client list. Requires controller 5.11 and latest firmware. • Improved neighboring APs (now shows near which AP they are located). • Insights and statistics will now remember the last selected view. • Added Traditional Chinese, updated translations. • Updated UI in topology. • Various updates to setup wizard; offer to join Wi-Fi after finishing. • Fixed "VLAN already assigned" error in network form. • Remapped ports on USG should now be displayed correctly; they will also be named by their network group. • Stopped using large titles in views accessed from "More", as they were causing issues with recognizing touches. • Fixed some issues with Gateway IP address. • Various other improvements and fixes. We value your feedback! If you have an idea how to improve the app, feel free to contact us at mobilefeedback@ubnt.com. I am really happy to see an update and it all seems to work really well! It’s still miss several features, but I know they’re coming! The problem I actually have are the colors. They are very bright and hard on the eyes, and I’m young. Maybe it’s the OLED screen on the X, but I think they are too bold in general. They just need to be a little softer. I do like the definition between the colors though. I love the new icons/tabs at the bottom of the screen. They look really slick. 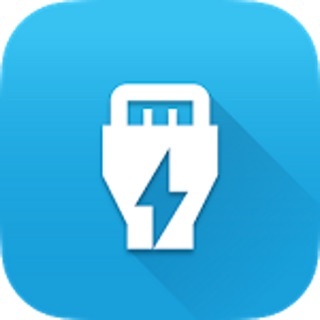 I know this is also very nitpicky, but I really, really, dislike the new app icon; of a UniFi AP. UniFi is so much more that Access Points at this point, it’s an entire ecosystem and network. I really don’t think having an Access Point as the icon is appropriate and I just don’t want to click on it. It makes me cringe. Maybe it’s because it looks too much like a weird button? I’m fine if you want to update the icon (it needed it), but I really wish it would be reflective of the whole product line. The old icon was great. Maybe just some fresh colors and make it flatter. Less is more now a days, which I feel is how the app is headed, which I like, aside from that icon. Please, please, change it. Maybe a picture of a network jack? I don’t know, but not an access point that is so nondescript, that it looks like somebody’s poor implementation of a button. As is the case with every networking vendor I work with, supplemental mobile app support is treated as a secondary effort to their main management thick client or browser based interface. I’ve always believed this is an area where a vendor could really set themselves apart from the average crowd. Evidently it is not embraced as a strong enough competitive differentiator to warrant a rise above mediocrity. Meaning, no one in Ubiquiti sales management, or product management, believes a purchase decision will be swayed based on the merits of equal iOS app support to that of the browser. Having said that, Ubiquiti has done a very nice job including the necessary essentials in their Unify iOS app support. I’ve found the interface intuitive, well secured w/ 2FA, and an extremely convenient alternative to my laptop for many things. When I can ditch my laptop completely, that will be a 5 star day. Not holding my breath but I remain optimistic. My last comment that hopefully someone at Ubiquiti will read.... “Thank you a million times over for finally adding upnp configuration support to the web client interface!” Keep up the good work. Thank you for the honest review! The app is a little bit behind on features because the controller team is bigger, but we are always trying to add the features that are already in the controller. Having all features that are in the controller is the target (unless it heavily compromises the user experience). In fact, we have already received many reviews from people who have ditched their browser completely and manage their network from the app only, although they might not need the full array of features. 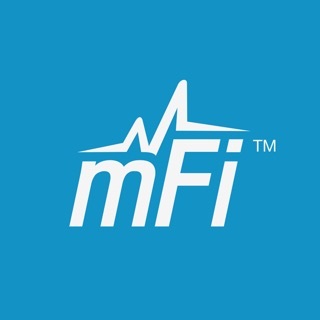 If you have some features in mind that you feel are important and missing in the app, feel free to contact us at mobilefeedback@ubnt.com, and we can prioritize those. Thank you once again! 1st review getting better 2nd- Now it is very good! 3rd - this APP ROCKS ! I started with a few unifi AP's about 4 years ago. This app at first was more of a poor monitor of your network lacking any features. It has now become an indispensable tool. It is feature rich and allows for not only monitoring but setup of AP's and unifi switches. No longer do you have to configure a device then carry it to a location. With this app you can do it on the spot. This is very helpful when configuring a switch as you can label the ports at the on the spot. We have also started using the cloud key and its integration is very good. Plus - now you can also use the app to configure AP's without a controller. This app alone is a good reason to get Unifi access points. Very very pleased with this app and its amazing progress. On top of all that they just keep adding more feature but keep it simple to use. These guys rock !! !